The first national conference of Labour Against the Witchhunt, which took place in London on February 2, was a success, with around 50 comrades from around the country attending. That, of course, is not a huge figure, but in view of the various attempts made to sabotage the event, it was excellent that so many were determined to come along, despite the snowy conditions. The conference was originally to have taken place in a church hall in west London, but, just two days before the agreed date, the booking was cancelled. The normal threats and accusations of anti-Semitism were made. According to the email received by LAW, the venue was “not really appropriate for such a conference, bearing in mind safeguarding and security issues”. It goes without saying that the anti- Semitism allegations are totally false. It is true that among those attending were comrades who had been falsely accused of anti-Semitism, in the witch-hunt driven by the Labour right and backed by the establishment, but no such allegations have been upheld against any of them. In fact Moshé Machover – an Israeli Jew who was summarily expelled from Labour in 2017 for writing an article noting the collaboration that occurred between German Zionists and the Nazis – was quickly reinstated following the outrage this called. Another speaker was Tony Greenstein – another Jew accused of anti-Semitism because of his staunch anti-Zionism. But in his case too the allegations were quietly dropped – although he was eventually expelled from the Labour Party under the catch- all charge of “bringing the party into disrepute” – basically for being ‘rude’ online. Then there was Jackie Walker, whose case has not yet been heard (see below). Opening the conference was LAW chair Jackie Walker, who has recently been named by the neoconservative Henry Jackson Society as an “extremist figure”, comparable to Tommy Robinson. She described this as a “hate campaign that puts my quality of life at risk”. In other cases, she said, people had lost their jobs, and at least one person had even attempted suicide. Suspended from Labour since November 2016 merely for saying she knew of no definition of anti-Semitism she could work with, comrade Walker – another Jewish comrade (she pointed out that there were a disproportionate number of Jews who were victims of the witch-hunt) – has now learnt that the hearing is finally expected to take place on March 26-27. But she still does not know what exactly she is accused of and who her accusers are. 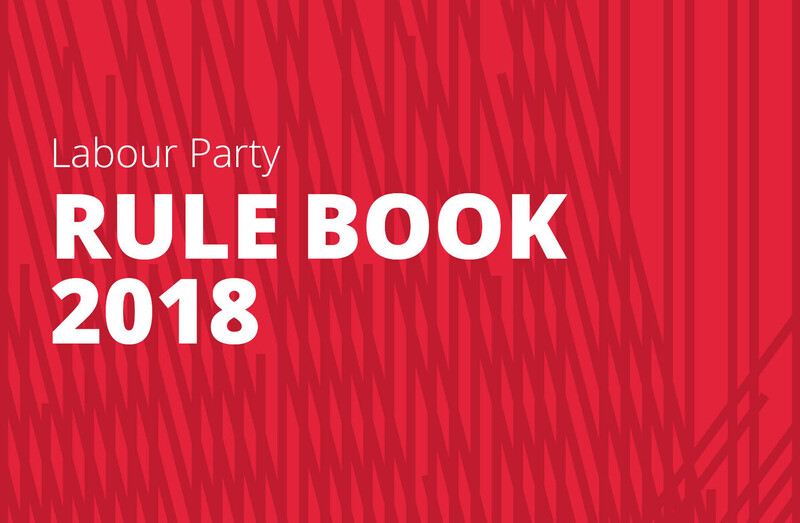 Despite the disgraceful nature of this campaign, comrade Walker noted, some on the left had been complicit – not least Momentum owner Jon Lansman. She predicted there would be a “miraculous change” if the right succeeded in removing Jeremy Corbyn – Labour’s ‘anti-Semitism’ problem would suddenly disappear. Comrades Winstanley and Machover were both supposed to be introducing the steering committee motion, but, in my opinion, it was unnecessary to have two people doing that job. Comrade Winstanley in particular took up a lot of time going back to the beginning of the anti-Corbyn campaign, which began three years ago. 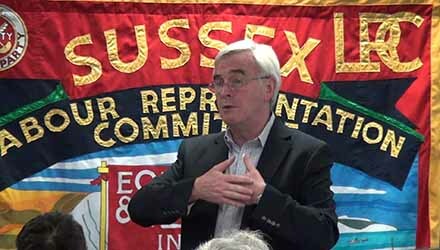 He highlighted the role of the Israeli government and described Labour Friends of Israel and the Jewish Labour Movement as “proxies for the Israeli embassy”. He quite rightly pointed out that such people should have no place within Labour. Comrade Machover talked about Corbyn’s “big mistake” in not challenging the smear campaign. Yes, of course, there are some anti-Semites in the party, he said, just as no doubt there are some paedophiles, but it is definitely not the major problem it has been portrayed to be. Corbyn should have said right from the beginning, “This is clearly not about anti- Semitism”. 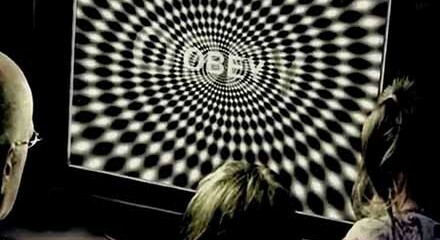 Comrade Machover went on to point out that Israel and Zionists claim to speak on behalf of all Jews, but we need to combat that through political education, and not react against the Zionist lobby in a way that could be interpreted as anti-Semitic. 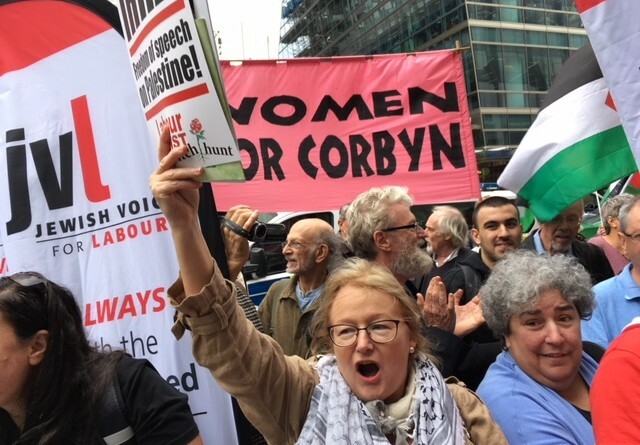 When the debate was opened up to the floor, one comrade pointed to the positive signs – at the Labour conference, Palestinian flags had been raised on numerous occasions in the hall – and the members knew what the truth was, he said. In the end McCarthyism was discredited in the United States and surely the same would happen with the parallel campaign here in Britain. In reply to this, comrade Walker agreed that support for the Palestinians within Labour was positive, but that did not mean that the mass of delegates were strongly opposed to the witch-hunt. For his part John Bridge of Labour Party Marxists also warned against any complacency. 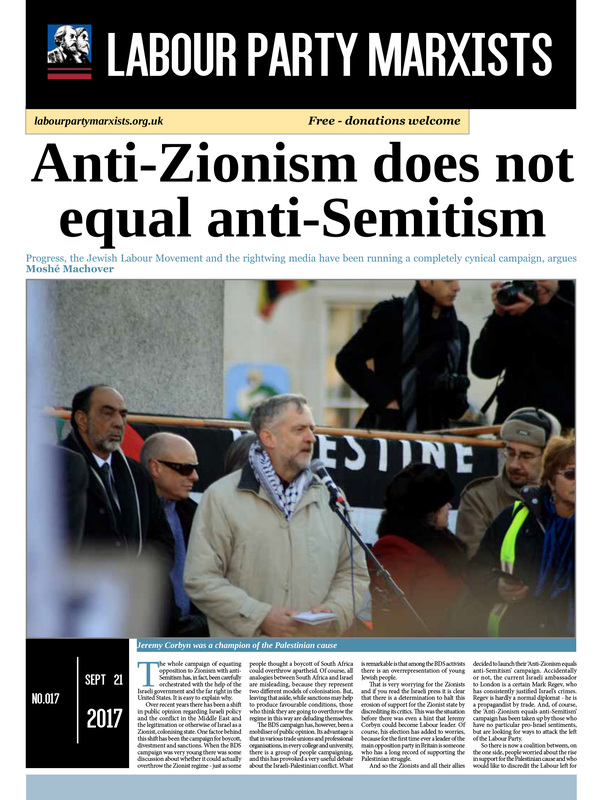 Anti-Semitism had now been redefined to mean ‘criticism of Israel’ – Labour’s national executive has gone along with that by adopting the International Holocaust Alliance so-called ‘definition’ of anti-Semitism – including all 11 of the “examples”, seven of which relate to criticism of Israel. Comrade Bridge concluded that what we are seeing could be “only the beginning”: we might even see legislation based on the IHRA, which would criminalise such criticism. In the afternoon session, comrade Greenstein introduced the steering committee motion on the IHRA, whose actual ‘definition’ is limited to stating that anti-Semitism “may be expressed as hatred toward Jews” (my emphasis – yes, that really is as far as the ‘definition’ goes). The real purpose, stated comrade Greenstein, was to “equate everything but the most benign criticism of Israel with anti-Semitism”. Glyn Secker of Jewish Voice for Labour also spoke on the IHRA from the platform, even though he is not a LAW member. 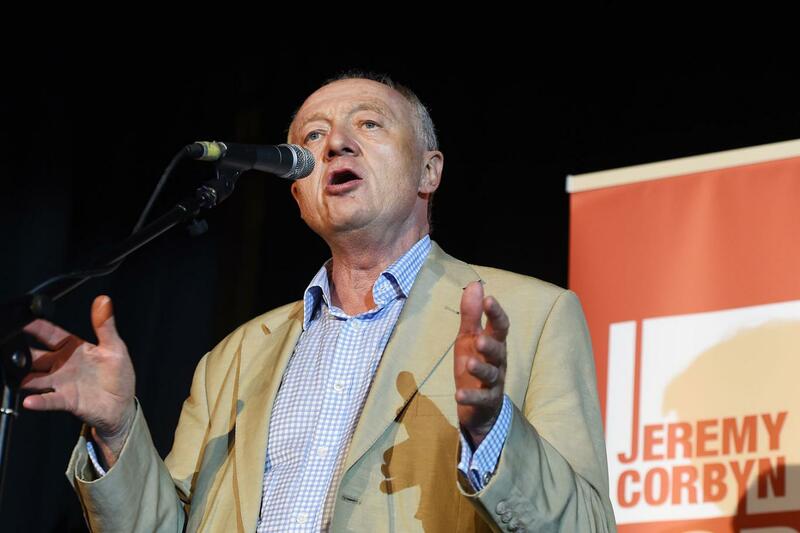 He pointed out that he had lost a whole generation of his family in the holocaust, yet he is still accused of anti-Semitism for his critique of Zionism – there is a deep conflict between Zionists and “revolutionary socialist Jews” like himself, he said. Yet, while there was an outcry against such “manufactured anti-Semitism”, asked comrade Secker, where was the mainstream campaign against the growth of the far right? Another comrade, speaking from the floor, thought that “the train has left”, in that the IHRA had now been adopted by Labour. So it was best not to continue campaigning against the whole IHRA definition, but to demand the ditching of the examples and their replacement by the JVL’s own code of conduct. However, Tina Werkmann – a member of the LAW steering committee – stressed that the IHRA symbolised the political collapse of the Labour left – it had to be opposed “in its entirety”. Comrade Bridge agreed and added: “In the middle of a witch- hunt, silence is as good as complicity.” That is why we need to be critical of Jeremy Corbyn, he said. Because the motion drafted by comrade Greenstein quoted a dictionary definition of anti-Semitism in contrast to the IHRA nonsense, conference – quite unnecessarily in my view – spent a long time discussing alternative definitions. Several last- minute amendments were drafted in relation to that. But, as one comrade asked, why does LAW need a definition at all? We are a campaign against the witch-hunt – that is why we are opposed to the IHRA, which equates anti-Zionism with anti- Semitism. But that does not mean we have to agree on the precise wording of a replacement definition. When the vote was taken, however, all amendments to that effect were defeated – although some minor changes to the wording were accepted and the motion, as amended, was carried unanimously. Two motions from Pete Gregson were also passed overwhelmingly: the first called for support for targeted activists and the second was a model motion on opposition to the IHRA. Once again there were attempts to insert references to a particular alternative definition of anti-Semitism. Comrade Greenstein’s alternative amendment on the steering committee sought to delete, “It elects its own officers and sub-committees” and replace this with a provision for the four main officer posts to be elected by “the annual general meeting”. Most controversially, he proposed adding: “Officers can be recalled by a two-thirds majority of the all-members meeting” (my emphasis). Ironically, comrade Greenstein claimed that we had to guard against LAW being taken over by some sect, which might be able to mobilise its supporters to turn up at a poorly attended members’ meeting and vote off the committee a member who had been democratically elected at an AGM. That was why there must be a two-thirds majority to recall an officer or committee member, he contended. In reality, the opposite is the case. Rather obviously, such a requirement would make it more likely that the will of the majority of members was thwarted. For example, if we assume that the attendance at Saturday’s conference was exactly 50, it would only have needed 17 of those present (whether members of the same ‘sect’ or not) to veto a decision favoured by a substantial majority, if comrade Greenstein’s proposal had applied. Fortunately, however, it was comrade Werkmann’s amendment that was carried (by a narrow majority), which meant that comrade Greenstein’s automatically fell. Clearly a good number of comrades have not grasped the benefits of genuine representative democracy and hopefully the article accompanying this one – William Sarsfield’s ‘Real workers’ democracy’ (which outlines the case, in particular, against the allocation of individual officer responsibilities by the entire membership, as opposed to the committee itself) – will help bring out those advantages. 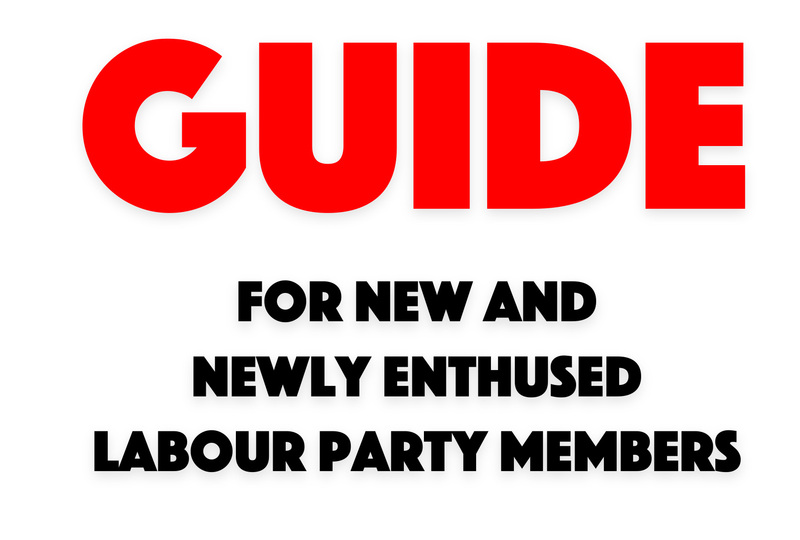 All in all, as I pointed out at the start of this report, the conference marked a step forward for LAW – and struck a blow against those who have sought to cow the left in order to return the Labour Party into safe, Blairite hands.